The Laboratory of Ion Beam Physics (LIP) is a leading research center for the development of Accelerator Mass Spectrometry (AMS) and a world‐class laboratory for the application of Ion Beam Physics in a wide range of fields. It can rely on a broad funding base and can thus serve a large user community from many highly current disciplines. LIP acts as a national competence center for ion beam applications. This annual report is a brief summary of the achievements accomplished in 2013. It covers the wide range of fields from fundamental research, over operational issues of the laboratory, to the vast variety of exciting applications of our measurement technologies. Naturally, the publications listed in the appendix of this report will provide a much deeper insight into our research. 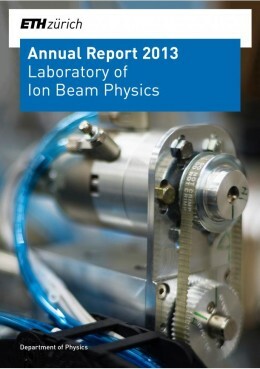 Der Rechenschaftsbericht des Laboratory of Ion Beam Physics der ETH Zürich f?r das Jahr 2013. Zahlreiche Ergebnisse und der neueste Stand der Wissenschaft für Ionen-Physik werden kurz vorgestellt.